The perfect compliment to your newest Ferrante novel (or whatever series you're currently devouring), is definitely a glass of red wine. And that's exactly what Barnes & Noble is serving. 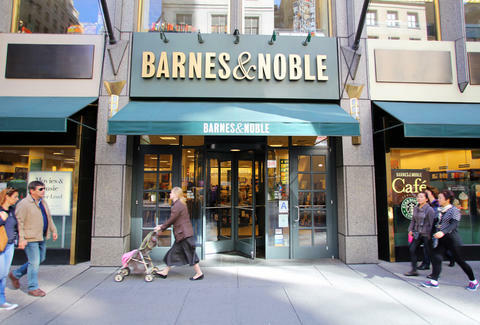 Barnes & Noble booksellers is opening four new concept stores that, according to the press release, will feature restaurants with "an expanded menu along with a beer and wine offering." The first will open in Eastchester, NY this October, followed by additional locations in Edina, MN, Folsom, CA, and Loudon, VA come 2017. The idea here is most likely to combat online booksellers by offering a more complete experience that will drive people to physically shop for books as opposed to clicking "add to cart." It's certainly an interesting way to get feet in the door, and as the restaurant analyst for market research firm NPD Group Bonnie Riggs told Eater, "If Barnes & Noble can provide customers a pleasant dining experience with good food and drink – a must for restaurant success – and not to mention, an array of wonderful books, they may just have something." Plus, a few red wines stains on the pages of that paperback totally add character. Kara King is a News Writer at Thrillist and will judge you by your number of pages. Send news tips to news@thrillist.com and follow her at @karatillie.